The AOQ (Australian Organisation for Quality) has just held Qualcon2018 - a very successful annual conference in Brisbane this week on the theme of Quality in a Complex World. The impact of AI (artificial intelligence). 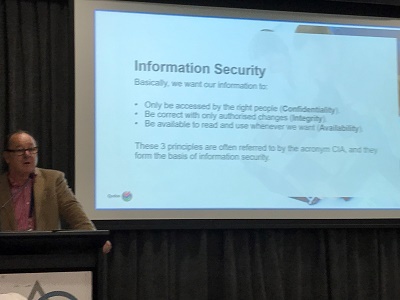 Qudos presented on the topic of the vital and increasing links between Information Security and Quality Systems. There was also a view held by many that the Quality Manager of the future will need greater emphasis on soft skills. That might be something to explore in a future blog.